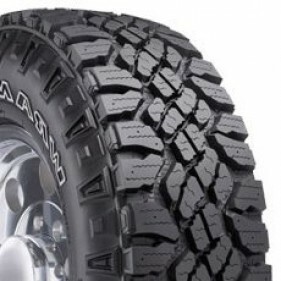 The Goodyear Wrangler DuraTrac is an All Season tire Road/Off-Road for SUV and light truck. The Goodyear Wrangler DuraTrac is a workhorse tire for rugged off-road terrain – including snow – that still offers a quieter ride on paved roads. The bold aggressive tread design is great for work truck towing & hauling. Thanks to the TractiveGroove Technology, the Wrangler Duratrac tire offers enhanced traction in deep mud and snow. 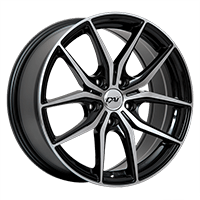 This tire also offers self-cleaning shoulder blocks that clears the tread of debris for enhanced dirt, gravel and mud traction, highly angled center tread blocks that enhances traction and lateral stability while reducing road noise, and rim protector that helps protect wheels from accidental curb damage. 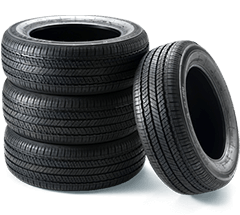 Goodyear Goodyear Wrangler DuraTrac tires are eligible for a 50,000 mi./80,000 km tread life limited warranty on standard load sizes.